The first image of your home is the view from the curb. This instant impression sets the mood in your neighborhood. Proper landscaping and lighting can create a sense of drama, serenity and ambiance to showcase your property. Green-Pros is dedicated to producing the optimum look for your property. Our landscape designer will create custom tailored plans for your individual requirements. We are a full service company that can provide all your outdoor needs. Whether it’s a residence or a corporate park, Green-Pros has the expertise, equipment, and manpower to handle the job. Our full range of design, installation, and maintenance capabilities allow us to meet the specific needs and objectives of each client. Free Estimates! Give us a call and we’ll get started with your detailed estimate and consultation. 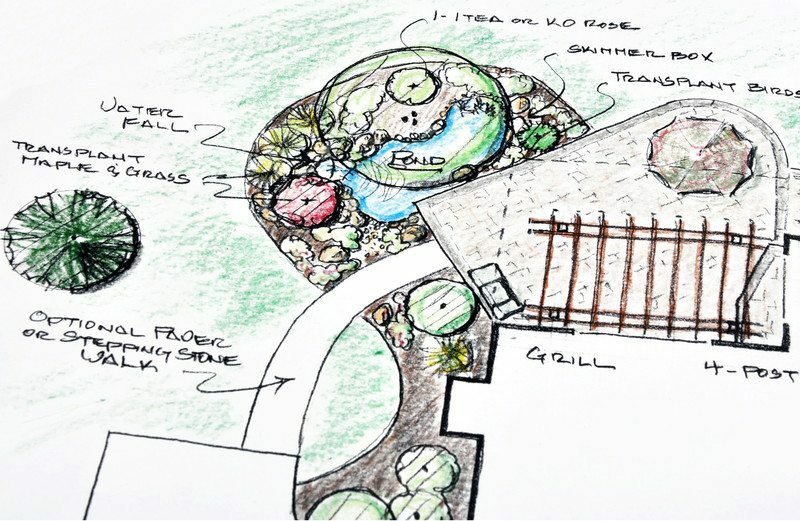 Using your ideas and preferences and our expertise, our landscape designer can create a unique design for your property. Our crew can help with all or a portion of the work-including ground-prep and installation. Designs and/or estimates can be created for any size of residential landscaping project or small commercial jobs.